According to researchers from the Universities of Exeter, UK and Wollongong, Australia, the collapse 8000 years ago of the Laurentide Ice Sheet in North America resulted in a catastrophic rise in global sea level. There is little doubt that this is true. However, it is less likely to have caused the flood of Noah than seismic events and climate changes closer to Noah’s home in Africa. To understand those events we must step back even further in geological history to the formation of the Great African Rift about 20,000,000 years ago. The Rift began to form as the Earth’s crust rifted. Rifting is the subsidence of land through faulting, and in this case the rifting was major and took place in phases. The first phase created the Great Rift Valley when the African and Arabian tectonic plates pulled apart. The second phase began about 15,000,000 years ago. In this phase, violent tectonic shifting caused central and eastern Africa to pull away from the rest of the continent. This left a long Y-shaped valley filled with lakes and volcanoes. The valley became an inland sea which drained and refilled several times over thousands of years. This is one reason the Albertine Rift is such an extraordinarily diverse ecosystem. The eastern arm of the Y-shaped valley stretches from Lebanon and North Syria, through the Red Sea, through Eritrea, Ethiopia, Kenya, Tanzania, Malawi, to Mozambique. 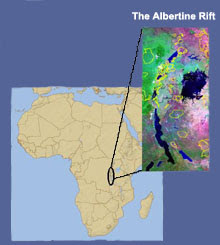 The western arm, known as the Albertine Rift, extends through Congo, Uganda, Urwanda, and Urundi, and links up with the eastern arm in Tanzania. The Great Rift runs for 6000 miles, making it the longest valley in the world. It is also one of the deepest and the hottest and driest places on Earth. But this was not the situation in Noah’s time. The flood of Noah likely occurred during the Guirian Wet Period, which lasted from about 5500 to 2550 B.C. This period is marked by 500 years of persistent, heavy rains that transformed the Nile into a wild river with mile deep gorges. During this time the lands surrounding Lake Chad were spongy and there was great flooding at the confluence of the Niger, Benue, and Osimili Rivers in modern Nigeria. The floodwaters created a disaster of such proportions that it is still remembered. Rainbows would have been a common sight over the region due to rising mists. In Noah’s time, about 8000 years ago, the Chadic Sea was more than 600 feet deep in most regions and covered over 154,400 square miles of central Africa before draining into the Atlantic Ocean via the Benue River. The floor of the Chad basin intersects with the ancient Mega-Chad basin in the northeastern portion of Lake Chad at the lowest point of the lake called the Djourab Depression. Mega-Chad was an ancient sea that influenced the formation of the Chad basin because the basins of the sea and the lake overlap in some areas. This conjoined sea and lake sustained extensive boating and fishing industries. The average fishermen used dugout canoes, an example of which is the 8000 year old Dufuna Boat, excavated in 1987 in northeast Nigeria. The nobles used boats constructed of marsh reeds lashed together and sealed with pitch (such as appears on this blog’s masthead). Noah, as the ruler of this territory, would have had many boats. Around the time that Noah lived the already wet region suffered the effects of a volcanic explosion on the floor of the western edge of the Red Sea. The eruption caused earthquakes and even more flooding. The loss of life among the peoples living in the region of Lake Chad was so great as to become mythic. The fact that the Bible gives us 2 flood accounts should not cause us to doubt the historicity of Noah and the great flood. 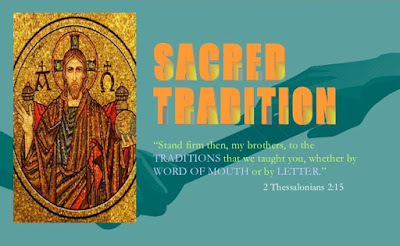 Remembering that Genesis comes from the Afro-Asiatic peoples whose former dominion extended from the Atlantic coast of modern Nigeria to the Indus River Valley, we should not be surprised to have a western (African) version of the story and an eastern (Mesopotamian) version. For more on Noah's Flood and Noah's ark, go here and here.